We offer BASIC BEHIND THE WHEEL instruction for Adults 18 years of age or older. Each session is 1 hour with 1 on 1 instruction. 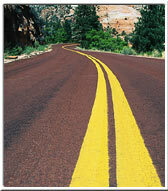 We cover all skills that you need to pass the DMV On-Road Driving test. Our goal is to make you feel comfortable and safe on the road. There is no set number of required sessions; it is based on your SKILLS and our evaluation of your readiness to be a safe driver. Each 1 hour session begins at $50.00, paid in cash at the beginning of the session. Call 757-220-5742 for more information and scheduling. This 8-Hour class satisfies the DMV requirement for 3 time failures of the Sign and Knowledge test for age 18 and older. Upon successful completion, you will be given a certificate for the DMV. Cost - $200.00 - cash, or money order, sorry no checks. Date: April 29 - Monday, 8:00 AM to 4:30 PM with 30 minutes for lunch, PLEASE CALL BY FRIDAY, April 26 TO RESERVE A SEAT!!!!!! Adults 18 years of age or older who fail the DMV On-Road Driving test 3 times must take a DMV required driving course. This course is 14, 1 hour sessions, with 1 on 1 instruction. Cost: $700.00, you may pay $50.00 cash at the beginning of each session.